REDjet on the edge of financial collapse? Ian Bourne has the story at The Bajan Reporter. Too bad: but that’s what happens when the competition is government funded – and governments stand in your way to protect their own businesses. 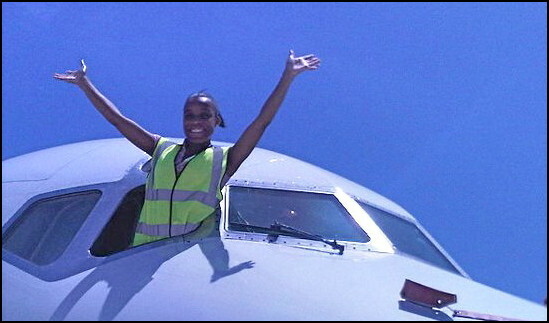 The Nation is reporting that REDjet is cutting back 56 flights because the low-cost start-up is running out of money. Not the best advertisement in the world for Invest Barbados, fuh sur, but actually a common scenario. Many folks come into the Caribbean looking to start a business or even a hotel – only to later discover that the competition is funded by the deep pockets of government one way or another. That’s tough competition! Remember the GEMS hotels were all heavily subsidized by government as is the current Barbados Hilton. I wonder how many of the recently closed hotels in Barbados might have survived without competition from government-owned businesses? Perhaps REDjet could have made it on a level playing field, but there’s no such thing in the Caribbean. Misuse of Barbados Government property for DLP political fundraising? 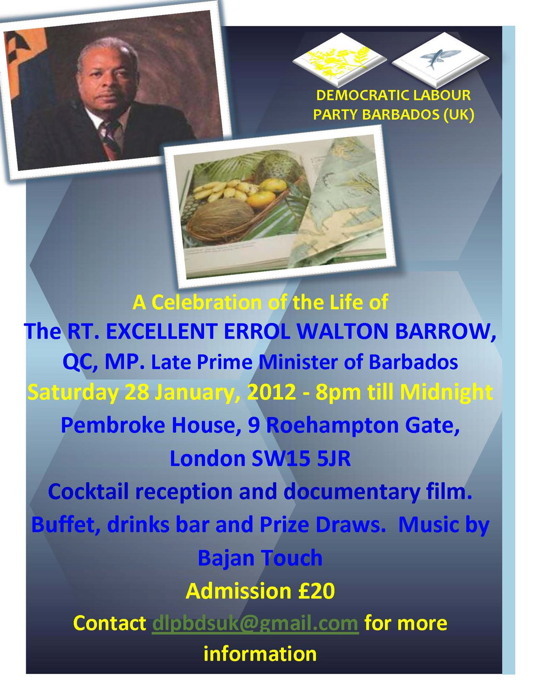 The DLP Democratic Labour Party Barbados (UK) is holding a function on January 28, 2012 at Pembroke House, 9 Roehampton Gate, London SW15 5JR. The price of admission is 20 pounds. DLP function using Government resources? Click photo for large. We’ve been unable to determine if Pembroke House, 9 Roehampton Gate, London is a Barbados government property, but if it is then the event should be moved or cancelled. It is unethical to use government facilities for a political party function. Most countries have rules against this type of thing, but alas, Barbados has no rules at all when it comes to elections financing, conflicts of interest or the use of government facilities for party politics. 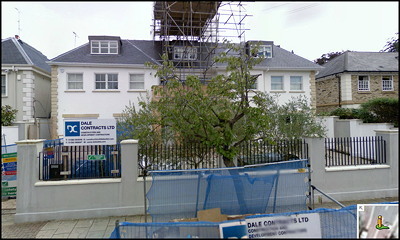 Above is the photo of Pembroke House taken from Google – at least we think it’s #9 Roehampton Gate. The sidebar contains the function notice sent out by the DLP Barbados (UK). Click on the photo for the large version. How about it, readers… does anyone know if Pembroke House is a Barbados Government property? Here is the email originally sent to Prime Minister Stuart and others. Date: Jan ?, 2012 at ?????? Misuse of government property, is this legal?????? ?